Since 2001 Kim has been the heart and soul of The Paragon Club. Her role as office manager, personal assistant and receptionist is invaluable. Kim graduated from Mesa College with an AA Degree in Business management. Kim’s smile, pleasant personality and caring nature bring warmth and personality to everything she does. 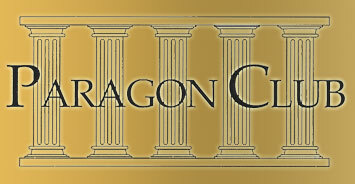 Her presence is vital to the friendly family atmosphere that defines The Paragon Club. Kim’s diligent organizational skills, computer knowledge, and attention to customer service make her the most important member of our Paragon family. Kim recently got married and enjoys spending time with her husband Jason golfing, playing softball and traveling. James earned his Bachelors of Science in Exercise Science and Physical Education at Arizona State University. He is a Certified Athletic Trainer through the National Athletic Trainers Association (NATA) and a Certified Strength and Conditioning Specialist through the National Strength and Conditioning Association (CSCS). James interned with the ASU Sports Medicine Department as a student athletic trainer, accumulating over 3000 hours of training experience under the guidance of Orthopedic Medical Doctors and Surgeons, Physical Therapists, Certified Athletic Trainers, and Strength and Conditioning Specialists. He treated numerous Division I collegiate athletes, many whom continued on to professional careers in the NFL, NBA, MLB, PGA and ATP Tour. James has over 13 years of experience in personal training specializing in sports conditioning, performance enhancement and functional movement training. He incorporates manual therapy techniques with functional movement training to provide a specialized hands-on training experience. James spent four years at the Village Racquet and Health Club in Scottsdale, AZ as a Personal Trainer specializing in tennis and golf performance enhancement. He has been a Personal Trainer at the Paragon Club for nine years where he focuses on functional and rehabilitative training with clients of all ages and abilities. Keith earned his Bachelor of Science Degree in Kinesiology with the emphasis in Athletic Training from San Diego State University. He is a Certified Athletic Trainer through the National Athletic Trainers Association (NATA) and a Certified Strength and Conditioning Specialist through the National Strength and Conditioning Association (CSCS). Keith decided to pursue his passion of human function and performance by obtaining his postgraduate certificate in strength and conditioning. Keith has over 10 years of professional experience. He served as the Head Athletic Trainer for Scripps Ranch High School, while working as a rehabilitation specialist at HealthSouth/ Oasis. Keith served as assistant Athletic Trainer at SDSU and worked with Division 1 athletic teams such as football, soccer, rugby, lacrosse, volleyball, and crew. In Keith’s free time he enjoys many outside activities, which include: surfing, mountain biking with his dog, hiking, and golf. Keith grew up in Bloomington, CA where he was an accomplished high school wrestler. Keith joined the Paragon family as an athletic trainer and strength and conditioning specialist in the spring of 2003. Christian earned his Bachelor of Science Degree in Kinesiology from San Diego State University. He is a Certified Strength and Conditioning Specialist through the National Strength and Conditioning Association. At San Diego State Christian interned with the Strength and Conditioning Department working with various Division I Athletes. Christian has always had a passion for athletic development and performance, and working with kids. During his college years he worked summer sports youth camps. He worked at the Aztec Recreation center designing programs for faculty and students. Upon graduation Christian worked for the state of California fitness testing prison guards throughout the state. He has over 10 years experience in the field of training and conditioning, sports enhancement and functional movement. Christian grew up in Monterey County where he played football, soccer, and baseball in high school. In his spare time he enjoys playing baseball, traveling, camping and the outdoors. Christian joined The Paragon Club team in April of 2000.